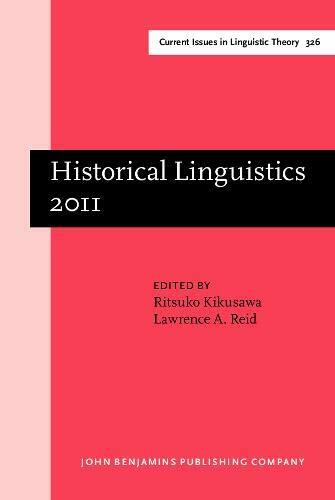 [PDF] Historical Linguistics 2011: Selected papers from the 20th International Conference on Historical Linguistics, Osaka, 25-30 July 2011 (Current Issues in Linguistic Theory) | Free eBooks Download - EBOOKEE! Posted on 2017-11-07, by luongquocchinh. No comments for "[PDF] Historical Linguistics 2011: Selected papers from the 20th International Conference on Historical Linguistics, Osaka, 25-30 July 2011 (Current Issues in Linguistic Theory)".